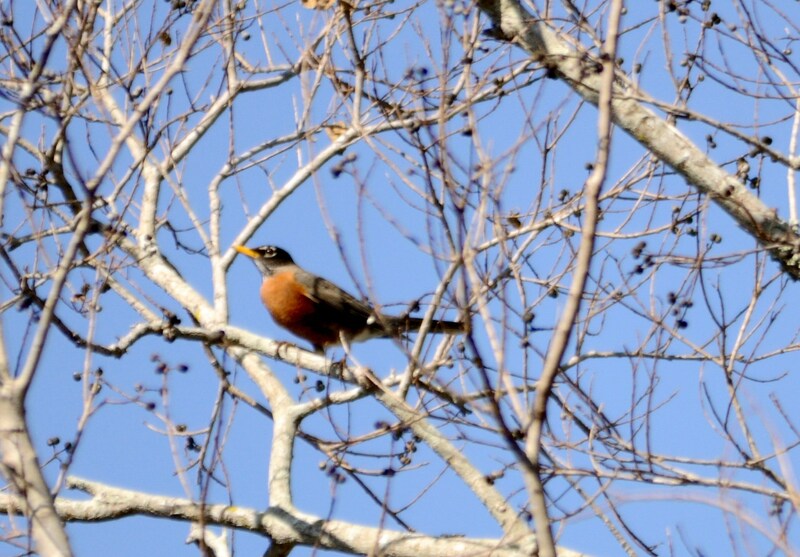 Spring had arrived, and many robins had flown back to the north after a long winter. 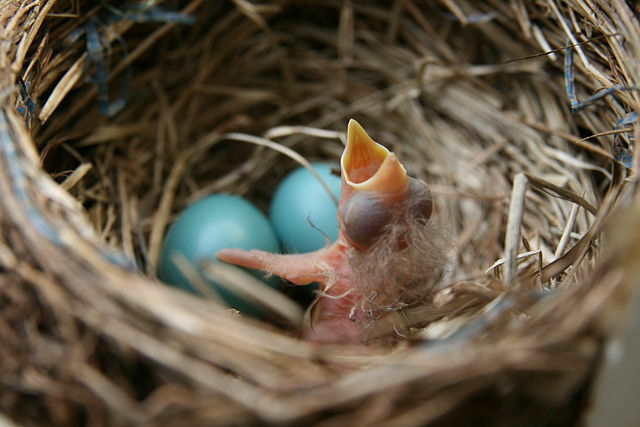 One of the robins, named Charlotte, had flown north to lay her eggs. After many long days of flying, Charlotte eventually landed in a small tree in the backyard of a large brick house. Flower buds began to peek out of the green grass. The sun shone through the tree branches, making Charlotte very warm while she built her nest. 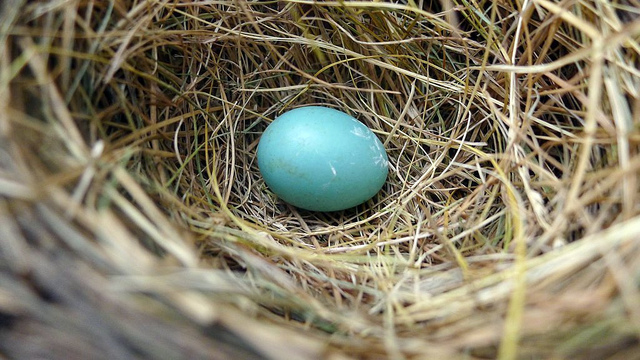 When she finished building her nest out of twigs and leaves, Charlotte settled down and laid her first egg. Charlotte sat patiently on her egg, leaving only to search for some worms to eat. One day when she came back with a worm, the wind picked up and it began to grow really cold. Charlotte sat back down on her egg to keep it warm. The next morning Charlotte woke up to see snow on the ground. 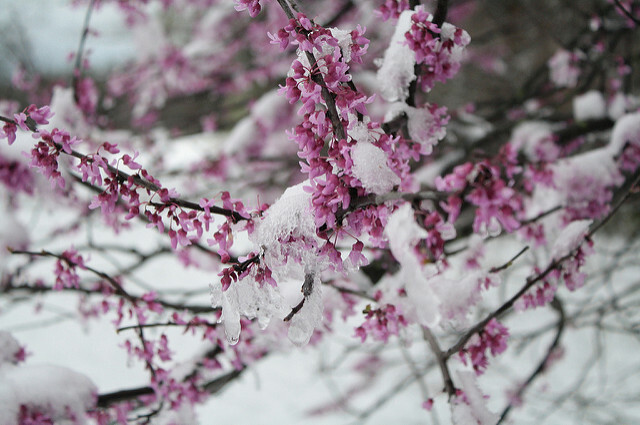 The snow covered all of the flowers, and the wind picked up even more. More snow began to pile up on the ground until Charlotte couldn’t see any grass. She knew that even though the storm was worsening she couldn’t find another place farther south to live because her egg had already been laid. The next morning, a large black dog hobbled into the backyard. He was very old, and the snow felt good on his old hips. The people who lived in the house called him Jerry, and many times the man who lived in the house had to carry Jerry inside. Charlotte noticed that Jerry didn’t want to come in on his own. Jerry shed a lot of his black hair, which would fall and stick in the snow. Charlotte grew very cold, and was afraid that her egg would freeze. Suddenly she had an idea. Quickly swooping down, Charlotte picked up some of Jerry’s hair and stuffed it into her nest to keep her egg warm. At one point Charlotte became very hungry again, but she knew it would be difficult to find any worms. She thought her egg would be all right surrounded by Jerry’s hair. After some digging in the cold snow, Charlotte was able to find one worm, and then she quickly returned to her egg, but when she came to her nest the egg had disappeared. carefully followed him as he put the egg in his mouth and got on his back legs to put the egg into the nest. Another great story from Emma. This time the friendly dog came to the rescue during trouble. It is always nice when others are able to assist us when problems arise. Thankfully, Charlotte was able to see her egg hatch and grow up. This entry was posted in Bird Tales, Birds, Guest Writer and tagged American Robin, Christian, Emma Foster, Emma's Stories, Friend's Help, Home School, Snowstorm, Spring. Bookmark the permalink. Great post! Love the photos! Instead of “Charlotte’s web” this is about Charlotte’s nest! Nice story, Emma, about a bird that was a favorite of mine even back when I was in elementary school. Keep ’em coming!